Real Salt comes from a mineral-rich salt deposit from an ancient sea in what is now Central Utah. It contains over 60 trace minerals, beneficial to supporting the body. Real Salt can be purchased from your local health food store, Amazon, Real Salt website, and even some grocery stores. 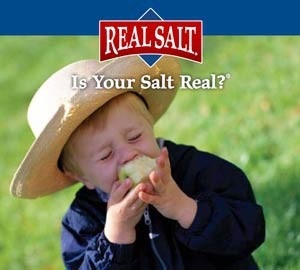 *I am not affiliated with Real salt or the Redmond company, I just really love their products.